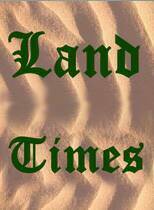 Land constitutes the main asset from which the rural poor are able to derive a livelihood. Of all the private land in the world, however, nearly three quarters is estimated to be controlled by just 2.5 per cent of all landowners. Millions of families, though they toil on the land, do not enjoy ownership rights over it and are considered landless. An average of 71.6 per cent of rural households in Africa, Latin America, and Western and East Asia (excluding China) are landless or near landless. Landlessness gives rise to a host of interrelated problems, including inadequate housing, lack of livelihood options, poor health, hunger, and food insecurity to acute poverty. HLRN has been involved in initiatives and ongoing efforts-both national and international-to promote the right to land as a human right. This includes working with social movements, advocacy at government and inter-government levels, and participating in international efforts, including at the UN, to further build the normative understanding of the human right to land. Lack of housing, land, and property rights, and the systematic denial of tenure security, for the majority of the world's population promotes social injustice and contributes to acute humanitarian crises. As a result of unequal and discriminatory access to and ownership of land, specific groups and communities suffer the most. These include low income groups, Dalits, indigenous and tribal peoples/adivasis, migrants, internally displaced persons, and marginalized women, including single women and women with disabilities and HIV/AIDS. Severe inequality in landholdings, apart from being socially and ecologically destructive, greatly aggravates the housing crisis. 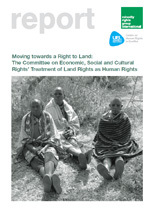 Forced land acquisition, the growing concentration of land with corporate enterprises, and large-scaleindustrialisation, including of agriculture, tends to involuntarily displace the poor to marginal areas, and threatens social and ecological sustainability. Land plays a crucial role in the structural linkages between rural and urban housing problems. While migration to urban areas is on the rise, the underlying causes for this movement are not being addressed. Such migration is generally not voluntary, but is the product of extreme rural poverty due to landlessness; land insecurity; land conversions; the loss of means of subsistence resulting from a failure to give priority to agrarian reform or promote rural infrastructure; project-induced displacement; distressed housing; or the industrial takeover of farmland. The lack of legal recognition of the right to land contributes to these situations. 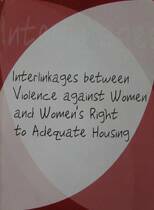 In cities, migrants,informal sector workers, and the urban poor are often precluded from accessing adequate housing and forced to live in informal settlements characterized by insecure and inadequate living conditions. The absence of tenure security and land rights in urban areas also exacerbates situations of forced evictions and displacement of the urban poor. Non-recognition of land rights also contributes to homelessness, as people and communities cannot hold on to their land and access land-based resources. The loss of public and private property, land grabbing, pillaging and looting, and the destruction of agricultural crops, all contribute to rising homelessness and landlessness. Access to land is important for poverty reduction and development, and it is also necessary for the realization of several economic, social, cultural, civil, and political rights. Land, however, is also an independent human right. 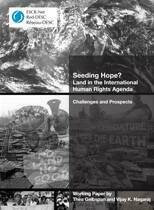 International consensus on the need for the legal recognition of the human right to land is growing. 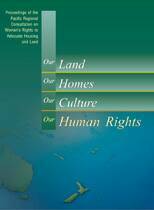 Several international human rights guidelines and documents recognize and protect the right to land. The right to land is integrally linked with other human rights, especially the human rights to food, adequate housing, self-determination, security of the person and home, work/livelihood, health, and water. 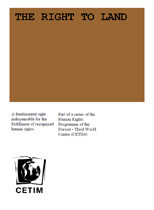 The lack of legal provisions to enable communities to inhabit or own land and to make productive use of natural or common resources should also be noted as creating an obstacle to the implementation of the human right to adequate housing.Inadequate housing of the poor is often the consequence of being barred from access to land, credit, and materials with which to build. When access is granted, tenure generally is not. It is, therefore, important to ensure that land rights, whether individual or collective, are legally recognized and protected by the state.